Over the last couple years, I have struggled with a serious attachment to my phone. Like very, unhealthily attached. It has to be right in my back pocket or within arms reach at all times, I hear it vibrate in my dreams, and I check it regularly, whether it has buzzed or not, just to see. (Resonating with anyone?) It may sound dramatic, but this is the reality of so many people and I don’t just mean millennials, either. I know many gen z, gen x-ers, and even baby boomers, who admit to compulsively checking their phone, too. Unsurprisingly, it even has a name: nomophobia. What’s worse, is when I check my phone, to see if someone has called or texted, (and even when they have not) I end up on to instagram, facebook, twitter, snapchat, etc, etc. I hate the way that sounds. Running through my instagram feed takes a couple minutes, then to facebook which can take however long I want, then twitter and snapchat another couple minutes, and then back to instagram to see if anyone has posted since I just looked 5 minutes before. One picture has been posted. Back to facebook to see what didn’t show up on my feed, or I didn’t click on that now I can go waste more time looking at. 15 – 20 minutes later. I don’t know where the time has gone, I have no idea what I was doing 20 minutes before, and I feel pathetic and stuck in a place without purpose. Usually a sense of inadequacy follows because majority of the material posted on social media is the highlight of a person’s day or week. The cycle of comparing myself to their lives begins, subconsciously of course, and I just end up feeling sad and pathetic. I have great news to share! Since, grad school takes up a lot of my time, I’ve being using Instagram as a great tool to stay in touch and post more frequently & more quickly! 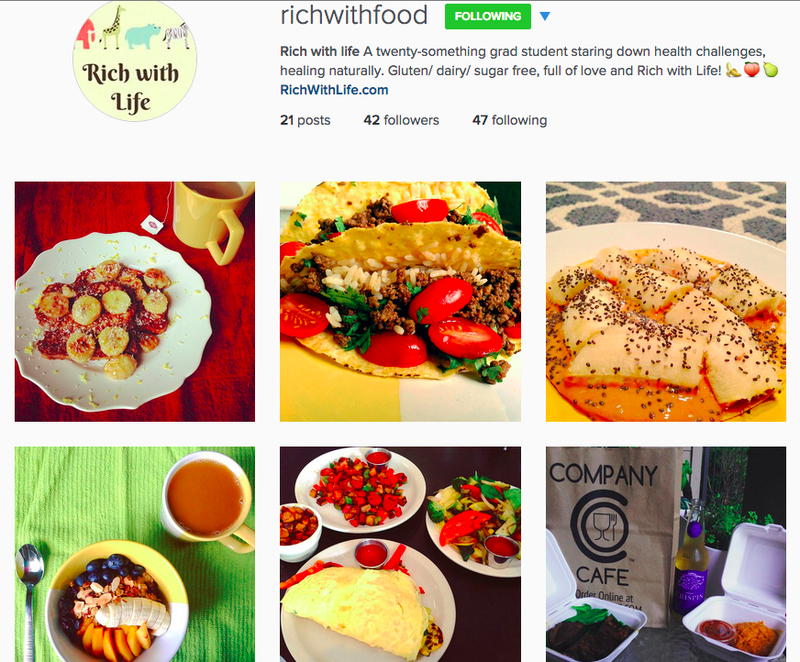 So, to see some delicious food posts, get a heads up when new recipes and posts are on the blog, and keep in touch on a more regular basis, find me on Instagram: @RichWithFood Don’t worry though, I will still be posting to the blog, just not as regularly as I do there. Last year, for my new years resolution, I took part in the OneWord365 movement, to choose just one word to live by, each day of the year. I like the idea of choosing one word, because it’s simple and easy. So, not only do you remember what your resolution is, but it’s much more manageable to stick to it than, say, many of the diet and fitness fads that tend to float around this time of year. 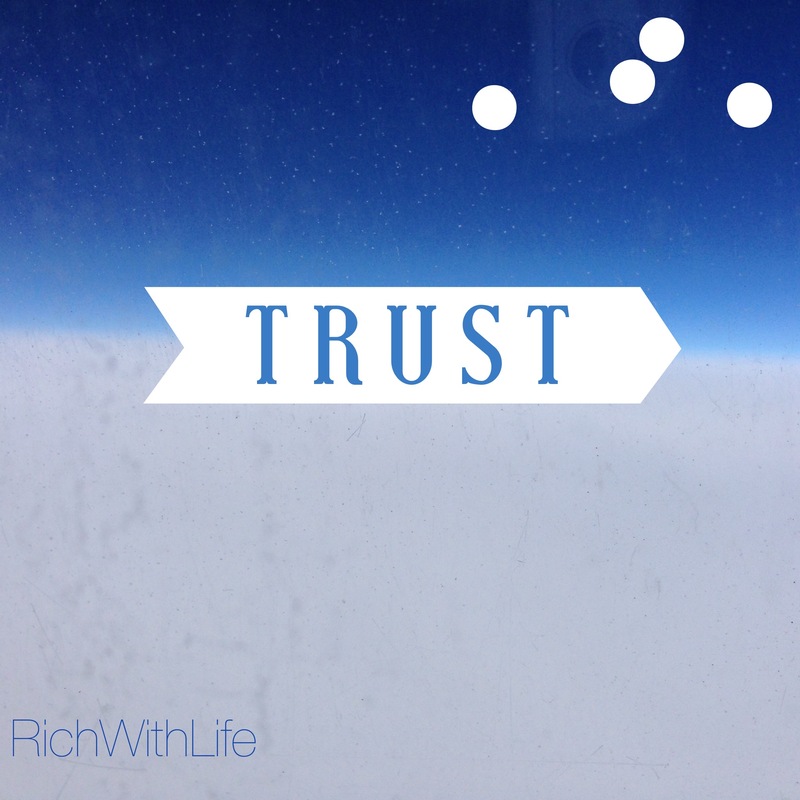 This year, my word is “Trust.” Trust in Him. Trust in the process. Trust in myself. This year has been a bit of a roller-coaster. Moving back home to Tucson for a year and having shoulder surgery were both unexpected bumps in the road. But through it all, I tried to remind myself that it was all a part of God’s plan for me. And sure enough, it has been a pretty life-changing few months. I’ve learned all kinds of new lessons that will stick with me in many different aspects of my life. I learned that, if God brings you to it, he really will bring you through it. 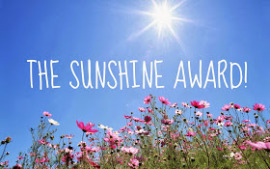 Thank you to Lyndsay from Officially Gluten Free for nominating me for the Sunshine Award! This award is meant to bring awareness to small blogs and spread the word about blogs that make you smile 🙂 I love Lyndsay’s blog and all her awesome recipes so be sure to check her out! 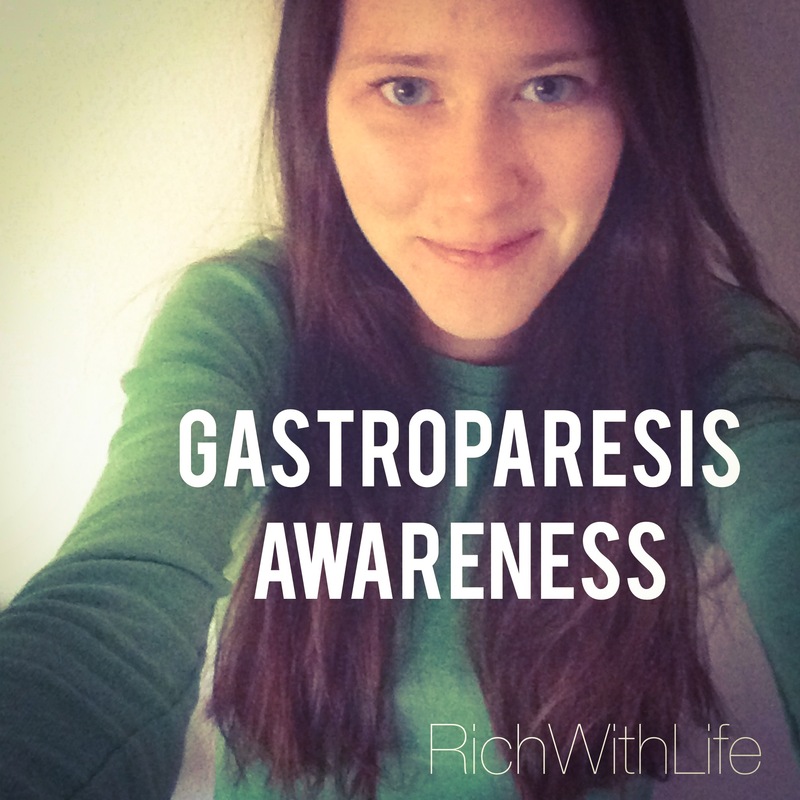 Sooo the color for gastroparesis awareness just happens to be the same as celiac! Green. Cool. Anyways “they” (the powers that be) decided we should all wear it on Valentines Day. My question: Why valentines day? When everyone is wearing pink or red (or if you’re on my campus, today is a huge basketball game so they are all covered in blue). Is it because we have awful digestive tracts that makes dating awkward? Is it because most associate valentines with candy which might make us sick? Who knows. Anyways, I’m all about awareness, so here it is!